Hello dear friends, I hope you are doing fine this evening. I am so glad to be back at it again, blogging and creating. I hope you have all had a lovely Christmas and New Years. It's hard to believe it's been so long since I've popped in last. I must admit, I wasn't sure if I'd make a comeback anytime soon, so I am beyond grateful to be here this eve :) I'll share a little snippet about what's been happening at the end of the post, but before we get to that, I have a very special little creation tonight, inspired by a super fun challenge over at Papertrey Ink! Did you know that PTI is celebrating 11 years this month? It's hard to believe how quickly the time has gone by! I remember my very first PTI order like it was yesterday. And my love for their products only grows with every release! This little card was inspired by the Floral Challenge, and it tickles my heart to be giving these little PTI florals a go. 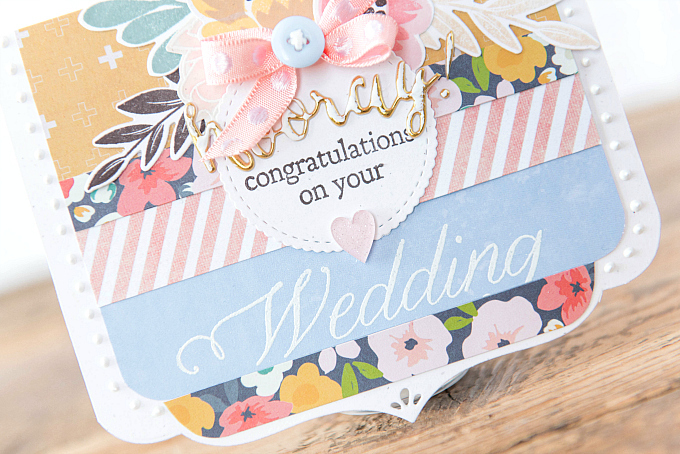 I think they're mighty fitting for a Spring wedding card, wouldn't you say? To start, I used several pretty patterns to cover the base of the card, which was cut using Papetrey's To The Point Edgers die - shared with me by my dear friend Aneta (speaking of which, I'll be featuring a very special post regarding our recent adventures together, so stay tuned!). For the florals I used several PTI inks including Harvest Gold, Classic Kraft, Smokey Shadows, Sweet Blush, Pale Peony, Ocean Tides, and Fine Linen. 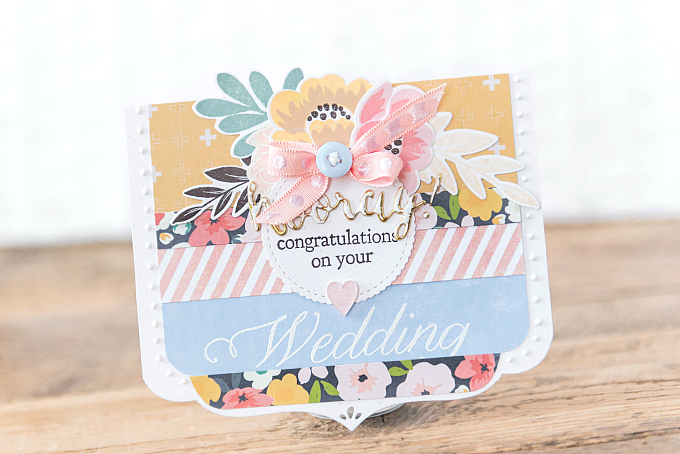 Just below the floral cluster, I added a scalloped circle cut using PTI's Make It Market Holiday Hugs kit. I stamped a part of the sentiment using PTI's The Best is Yet to Be stamp set with Smokey Shadow ink, and just below that, I stamped and embossed the rest of the sentiment. 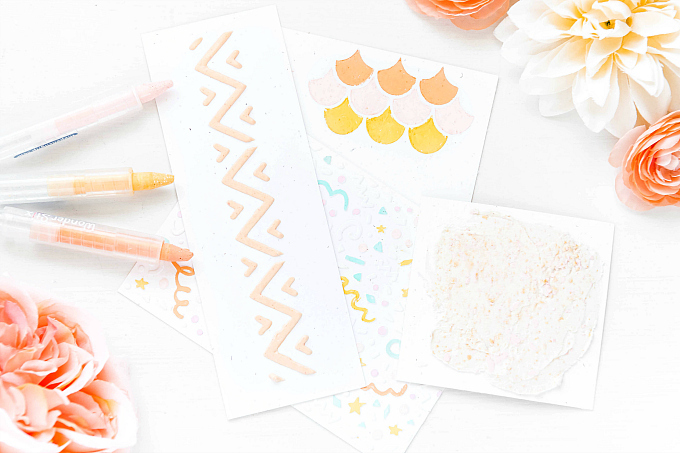 This is another favorite stamp set that is no longer with PTI, but you can find the adorable dies still. 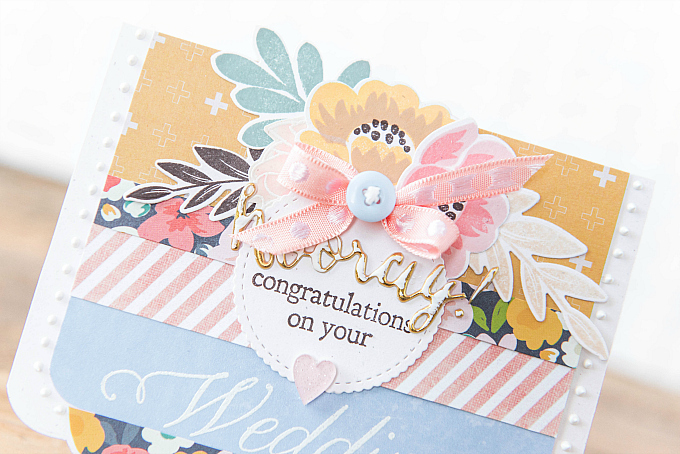 A teeny little heart and a dotted bow finish off this colorful card. Before I go, I'll share just a bit of what has been happening...This past October, I suddenly developed some health issues, and while we surely hope it is nothing serious, dealing with everything has been somewhat of a challenge, and quite the adjustment for our little family. I've been contemplating whether or not to share about all that's been going on around here but it's always such a toss up for me in deciding what might cross the TMI boundary...Ultimately, I thought it best to share at least some news since this has been such a big part of our lives lately. It has changed everything about the way we live, and our daily routine, so it seems silly to avoid it altogether. I may share a few more details in the weeks to come, but for now, I am beyond grateful for the good days when I have energy to be crafting, doing things I love, and spending time with loved ones. I've missed you all so, and I'll be back tomorrow with yet another challenge card! I've missed you. Your card is beautiful. Sending positive energy your way in hopes that everything turns out well for you. Your card is beyond gorgeous! whenever creating. Your work inspires me. My hope is to (soon) be able to start creating again myself. Thank you my dear Aneta. Crafting is such a great escape on the days when I have energy :) It's so wonderful to be sharing again and THANK YOU for your kind words, love and support. Sending you many hugs!! !